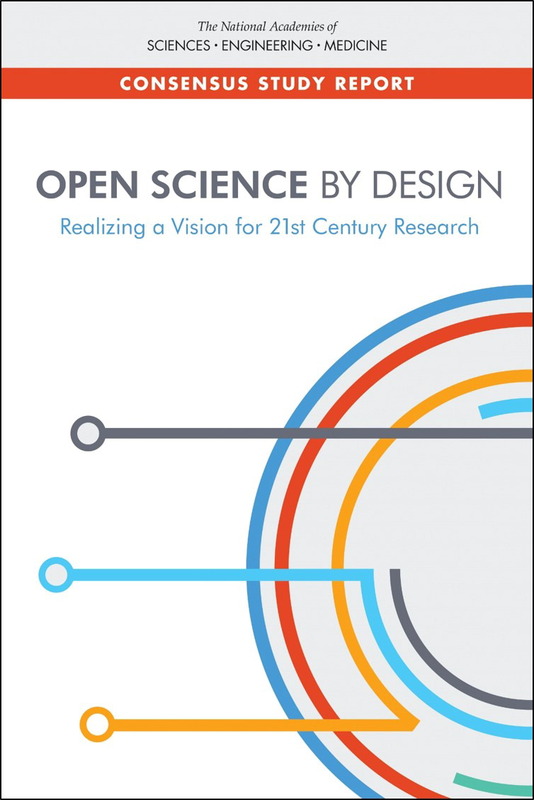 In July 2018, an expert committee under the Board on Research Data and Information (BRDI) publicly released a consensus report that provides guidance to the research enterprise and its stakeholders as they work to achieve open science. Visit the project page for additional information. 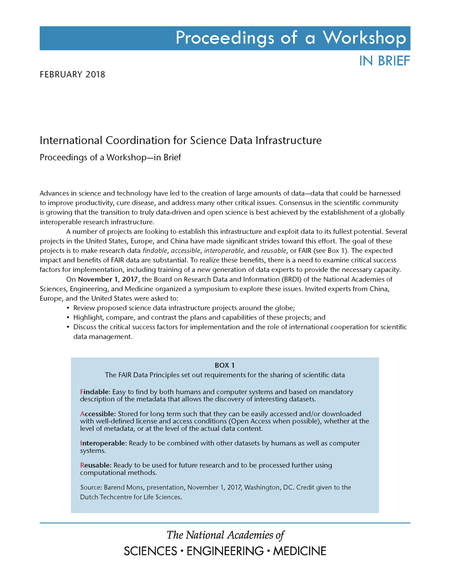 In November 2017, BRDI organized a public symposium on international coordination for science data infrastructure in Washington, DC, as part of the 15th BRDI/U.S. CODATA Board Meeting. This Proceedings of a Workshop—in Brief summarizes the presentations and discussions from the symposium. Broadly disseminate and communicate the results of the Board’s activities to its stakeholders and to the general public. BRDI also represents the U.S. National Committee for CODATA. In order to increase the contribution of open science to producing better science, the National Academies of Sciences, Engineering, and Medicine’s Roundtable on Aligning Incentives for Open Science will convene critical stakeholders to discuss the effectiveness of current incentives for adopting open science practices, current barriers of all types, and ways to move forward to optimally align reward structures and institutional values. The first meeting of the Roundtable took place on February 25, 2019 in Washington, DC. This initial meeting was designed to identify key challenges and opportunities relating to aligning incentives for open science, and develop the initial work plan or set of priorities for the Roundtable. Also see ORFG Collaborates with National Academies on Bold Project to Re-Align Research Incentives.